Hudson's Bay has a nice Deal of the Day today! 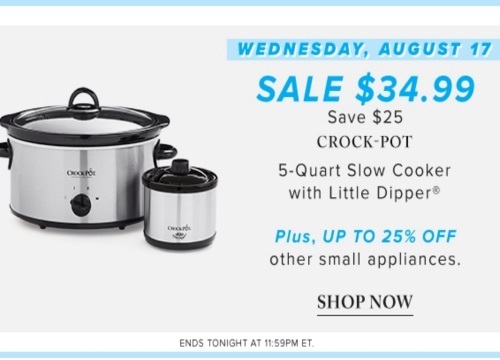 Also, save up to 25% off other small appliances. Offer is valid online today only, Wednesday, August 17 2016.